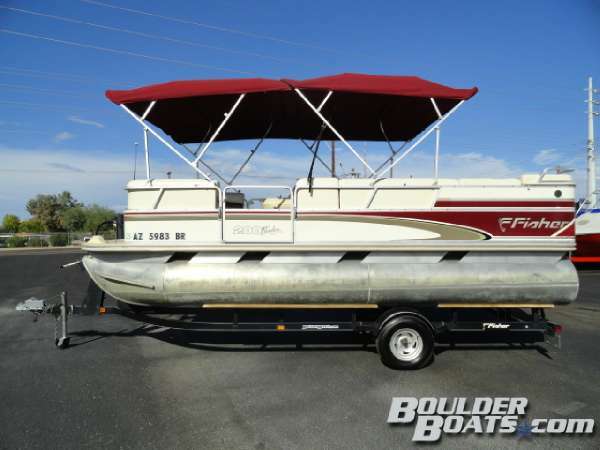 2006 Tracker Fisher Freedom 221 DLX-I/O BRAND NEW SUNBRELLA COVER, MerCruiser 3.0L I/O, Turn Key Start, Bimini Top, Bow Loungers, Sink and Faucet, Tandem Axle Trailer, Seating for 12 People, Stereo, Transom Ladder. A fisher tracker marine 2005 16'4'' heavy duty aluminum…40 horse mercury …1224 motor guide trolling motor. 2015 Tracker Pro Guide V-175 Combo The do-it-all Pro Guide V-175 Combo is equally suited for trolling for walleye, casting for bass, or towing skiers and wakeboarders. Built on our legendary Deep V hull with reversed chines for a smooth, dry ride, the V-175 Combo glides through the chop with ease. And the all-welded hull is unitized with the robotically-welded box beam transom by a longitudinal stringer system for a rock-solid structure and a lifetime of durability. - Powerful, versatile fisher! 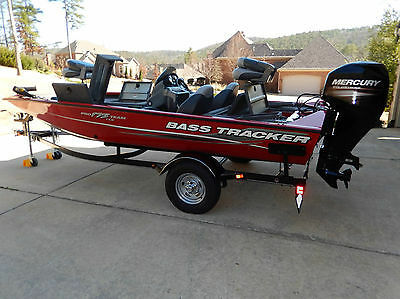 **2014 Bass Tracker Model 175 TXW Boat** **Only 6.3 Hours on the 2014 Black 60 HP 4 Stroke EFI Mercury Motor with MPP Gold Warranty through March 29, 2019. ** **Also, Matching 2014 Pro 175 V2 Black Trailstar Boat Trailer. ** **Always Stored Inside In Our Garage. 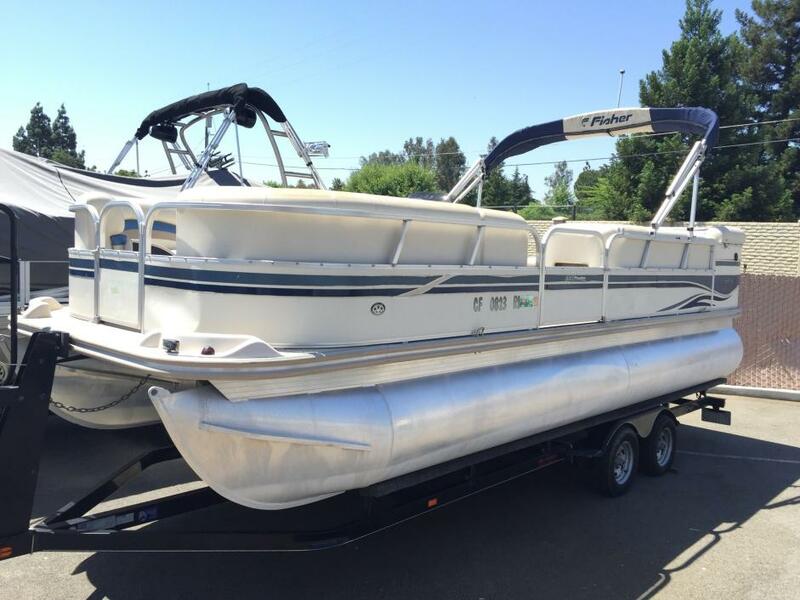 ** We Bought This Boat For My Wife and Me To Spend More Leisure Time At The Lake. However, Due To A Family Tragedy, We Are Unable To Do So At This Time. If You Are Interested In Basically A New Boat, Motor, and Trailer, At A Used Price, You Have Just Found It. You Will Not Be Disappointed!! Someone Is Going To Be Very Happy When They Take This Boat Home With Them!! 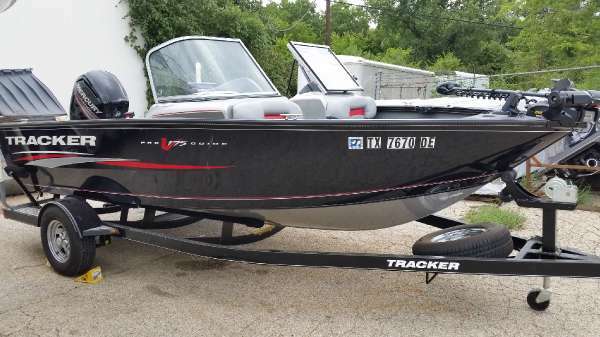 Highlights You Are Bidding On A 2014 Bass Tracker Aluminum All-Welded Hull Fishing Boat Equipped With a Black Mercury 60 HP 4 Stroke EFI Outboard Motor with Only 6.36 Hours and a Mercury MPP Gold Warranty through March 29, 2019. Additionally, This Boat is Equipped with a Dash Mounted Lowrance X-4 Pro Fisher Depth Finder, Minn Kota Edge 45 lb. 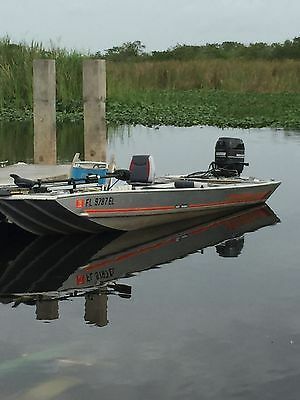 Trolling Motor, Aerated Live Well, Full Instrumentation, Graphite Dash, and Matching Black Trailstar Boat Trailer with Folding Tongue For Easier Storage. For Additional Info, Please Call Bill at 501.516.1665 in Little Rock, AR. 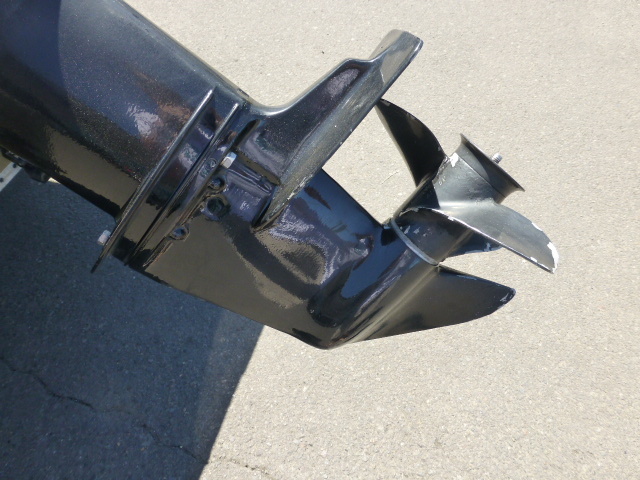 We Are Marketing This Boat, Motor, & Trailer Locally, So We Reserve The Right To Cancel This EBay Listing, At Any Time. The “Out The Door Price” for a new boat like this one from a Boat Dealer in Arkansas is $18,243.66 (includes Base Price, Freight & Prep, 6.5% Sales Tax, and Fees). I had a couple of buyers that wanted this boat, but they could not come up with the money, so I am listing this beautiful boat again!! Happy Bidding! !